I noticed something different this morning while washing my hands at the kitchen sink. (Which is, by the way, not the super cute sink you're looking at above!) I noticed that the scripture card that usually sits on the stand beside the sink had been replaced with another. I’m typically the only one who ever switches the cards so I stopped to read the verse. Slowly. Did God want me to see and read this verse this morning for a reason? Because Kairos is both an invitation and a challenge - an invitation to draw ever ever closer to the heart of Jesus and a challenge to grow ever deeper in our trust and faith - it's always worth asking the question. The Scripture card (designed by my amazing friend Courtney DeFeo) that now sat on the stand had 1 Corinthians 2:9 written on it: No eye has seen, no ear has heard, no mind has conceived what God has prepared for those who love Him. I’ve read this verse what feels like a million times……..but I’ve never paid attention to what struck me this morning. In times past, I've read this verse thinking “If I just keep obeying God, He will keep amazing me with His faithfulness.” Now when I say faithfulness, I don’t mean He will keep amazing me with lots and lots of good things that make me super duper happy. I mean that He will keep revealing His steadfast love to me, that He will keep opening my eyes to the reality that every good gift comes from Him, and He will keep enveloping me with His mercy when it hurts. It doesn’t mean my life will be one monumental moment after the next but that His faithfulness to me will woo and awe me in the mundane and the monumental, in times of celebration and in times of great despair. If you know my story, you know I got carried away in the “do more, be better, and try harder to make God more pleased with you” message of our day. The more I became aware of my own sin and brokenness, the more I wanted to turn it around and impress God with my obedience and hard work. It’s no secret how that turned out. Perfection, performance, and pretending became my idols and stole my joy. And why do I love Him? Because He first loved me. It is the love of God that compels. We love because He first loved us. He wants my love, and He knows that from that love affair will flow a heart that desires to trust and obey. In gratitude our hearts are stirred to trust and obey- to stay in His stream of grace. Gratitude produces a true longing to stay smack dab in the middle of His will so that we can be the light He is equipping us and empowering us to be, even in our brokenness. Yes, He wants our heart. Our love. Is my message that I am most concerned that they are obeying more and more? Or is my message that I am most committed to them coming to know the love of Jesus and their need for Him more and more? I say it’s the second. And it truly is. I want to raise Wholehearted Children who know that they are wholeheartedly and unconditionally loved by Jesus Christ. On their best day and their worst day, Jesus longs to be gracious to them, to rise up and show them compassion. (Isaish 30:18) That is my starting place. But my actions don't always reflect the desire of my heart. 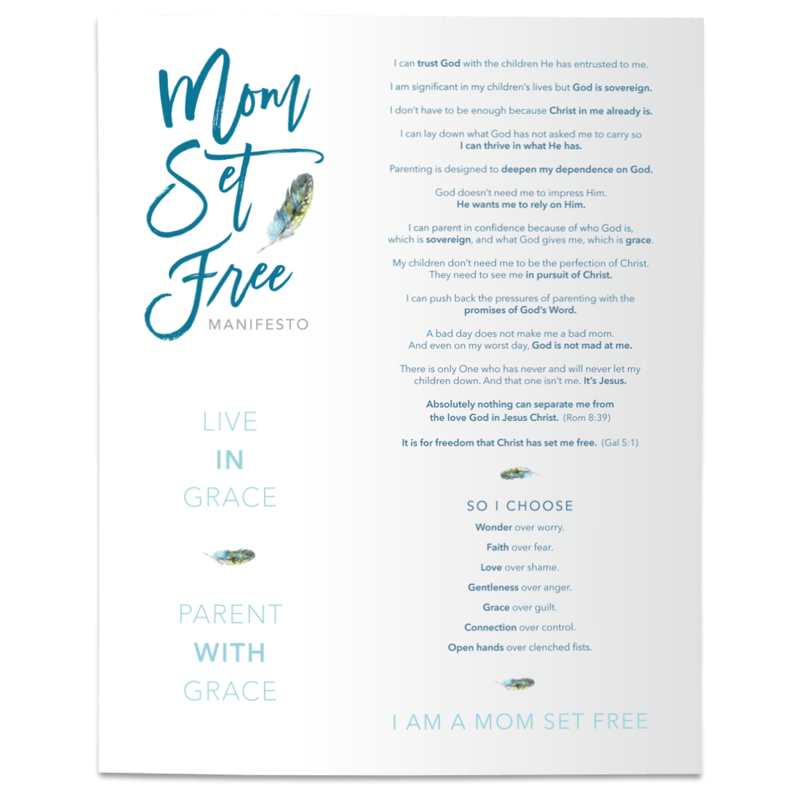 Giving my kids grace is a daily choice – a daily re-commitment. It doesn’t come naturally. We are hard wired for everything but grace. Ah. Yes. Kairos. There it was - To reflect the heart of Jesus to my kids and to lead them in His grand plan for them where "no eye has seen, no ear has heard, no mind has conceived what God has prepared for those who love Him" my starting place must be the RADICAL GRACE- the unconditional love- of Jesus. If you would like to receive an email notification when I post weekly blogs, please sign up here. Thanks!